North Castle Partners and Barry’s Bootcamp announced today that North Castle has made a strategic investment in Barry’s Bootcamp, the boutique fitness brand with studios across the United States and abroad. The investment will fuel the growth and expansion of the brand, penetrating new markets as well as developing additional locations in existing markets. North Castle Partners, a leading private equity firm focused on consumer businesses that promote Healthy, Active and Sustainable Living will partner with the existing corporate Barry’s Bootcamp team to maintain the culture of the white-hot cardio and strength training interval workout that has become a true darling in the boutique fitness industry with a cult-like following of A-List celebrities, Olympic athletes and thousands of dedicated clients. Terms of the investment were not disclosed. North Castle Partners utilizes their extensive network and knowledge of the health and wellness industry to partner with management and entrepreneurs to create household brand names. The firm’s past and current portfolio includes fitness giants Equinox Fitness, International Fitness Holdings, and Curves International, as well as Jenny Craig, Naked Juice, Octane Fitness and more. “When Rachel, Barry and I founded Barry’s Bootcamp in 1998, I knew we had something amazing on our hands,” said out-going CEO John Mumford. “My dream was to expand The Best Workout in the World® across the globe. Barry’s has grown into a world-wide community of passionate employees and clients who live and breathe the Barry’s lifestyle. Now, after 17 years as CEO, I am grateful that I played a small role in improving thousands of lives,” said Mumford. “NCP’s expertise in service intensive, healthy lifestyle businesses, makes it a great partner to help grow the Barry’s brand. My friend and partner Joey Gonzalez is the perfect choice to succeed me as CEO.” Mr. Mumford will serve on the new company Board and will be Managing Director of International Strategy. “The decision to join forces with North Castle Partners is thrilling. From the beginning, the mission of Barry’s has been to make the world a healthier place,” beamed co-founder and President Rachel Mumford. “North Castle Partners has a similar vision as they are committed to promoting a modern, healthy lifestyle. What really sold me was how North Castle demonstrated that they understand our culture and clients, and share our vision of the future of Barry’s. I’m excited to get to work!” Going forward Mumford will serve as the Director of Studio Design. Barry’s Bootcamp has consistently delivered The Best Workout in the World®, combining 30 minutes of interval-based cardiovascular routines on treadmills with 30 minutes of strength training using free weights, resistance bands and medicine balls. Since the brand’s Southern California founding they have expanded into New York City, the Hamptons, Boston, San Francisco, Miami Beach, Nashville, Bergen, Oslo, and London. 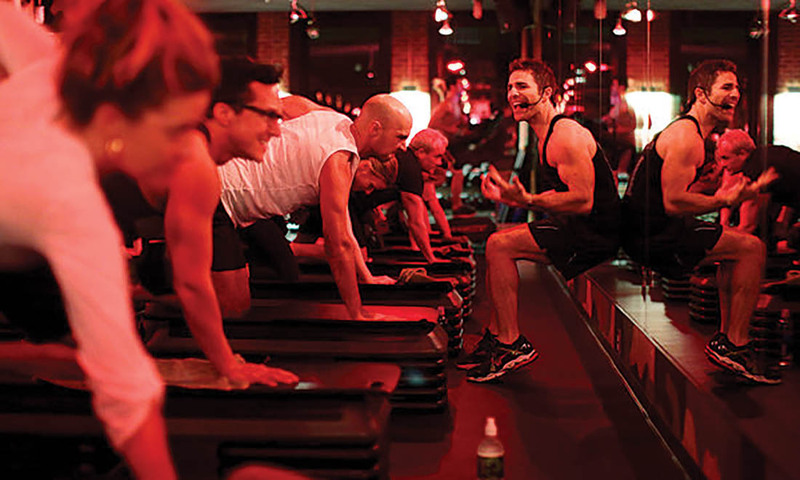 Barry’s Bootcamp will open two new studios in late 2015 in Hollywood, CA and on Manhattan’s Upper East Side. The 4,500 square foot Hollywood flagship will be the largest West Coast studio to date. Barry’s Bootcamp Hollywood will also be the first Southern California studio to include the brand’s signature Fuel Bar, offering fresh smoothies and full women’s and men’s locker rooms with luxurious showers stocked with Malin + Goetz beauty products. The highly anticipated Upper East Side location, on the corner of East 64th Street and Second Avenue, will be the fourth studio in Manhattan with a capacity of 50 guests in each class. Additionally, Barry’s Bootcamp UES will feature a Fuel Bar, seating area, branded retail and women’s and men’s locker rooms, each with five showers. Moelis & Company acted as exclusive financial advisor to Barry’s Bootcamp along with Buchalter Nemer as legal advisor, while North Castle Partners was represented by Morrison Cohen LLP.